Moving back home means a garage full of paint and DIY materials already, saving me a pretty penny. 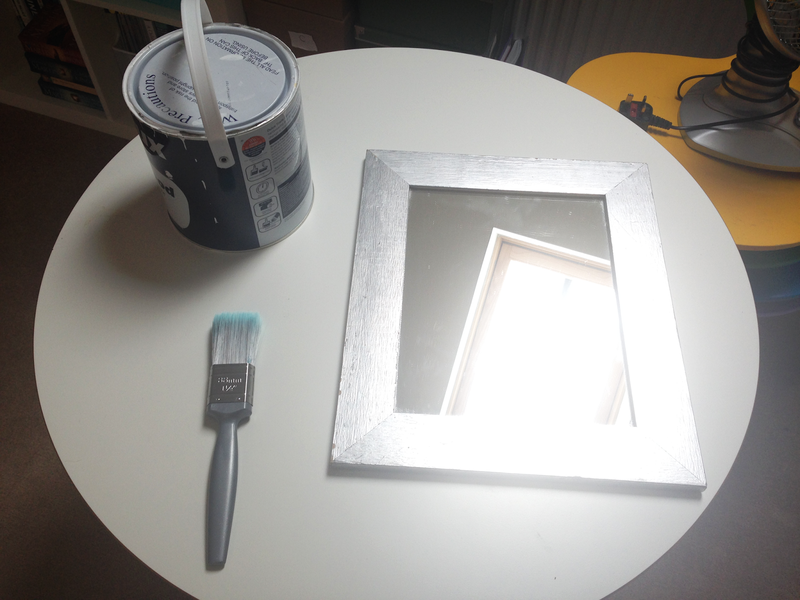 I definitely didn't want to fork out for a pot of paint for this small mirror. I picked a white satin paint to fit the overwhelming whiteness of the rest of my room and bathroom and gave it a few coats. Honestly the hardest part of this DIY was trying not to let the dogs walk all over it when it was drying. 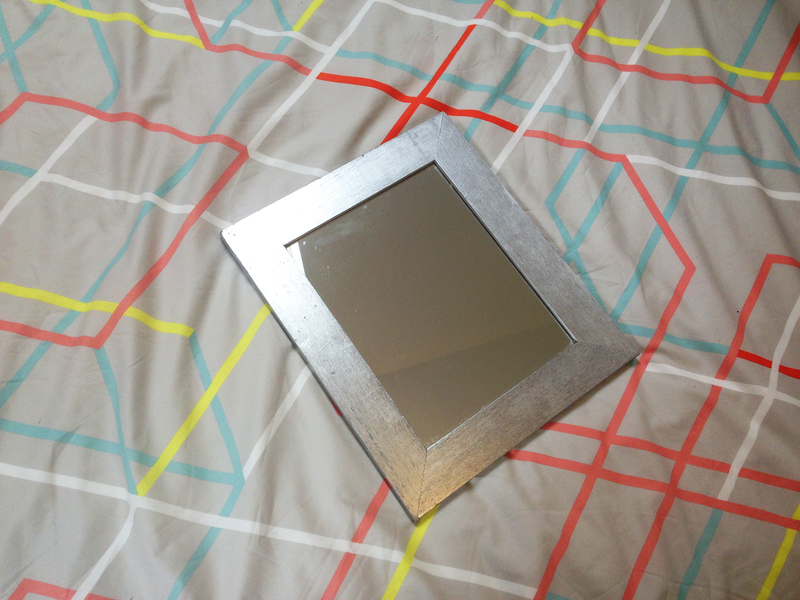 Sensibly I remembered to tape around the edges of the mirror where it met the actual mirror so not to get paint on it. Unfortunately I because I chose packing tape instead of masking tape, a lot of the brown of the tape transferred onto the mirror, but it came off with some scraping and scrubbing fortunately. A few strips of washi tape and we have our final product which you can see at the top! 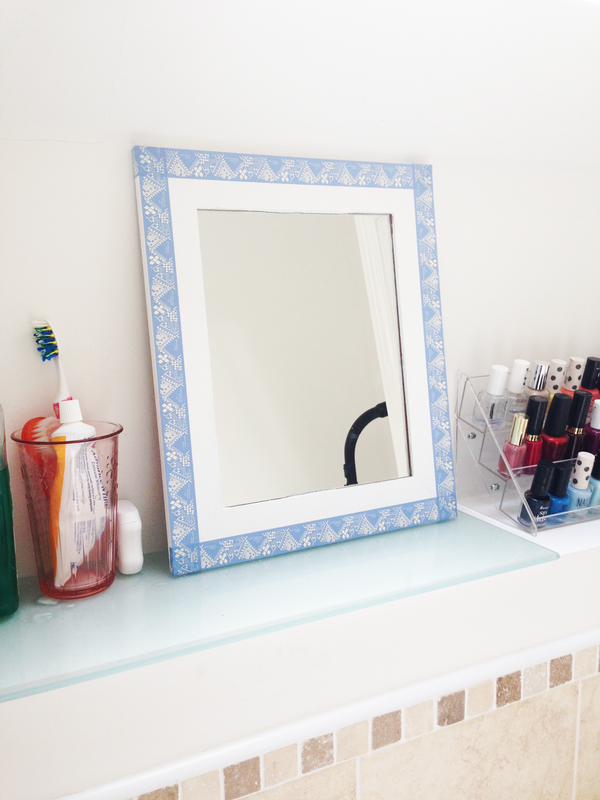 My room has a few hints of blue and pink around it, so I picked a lovely light blue tape to place around the edges of the mirror so it didn't look too plain. I love the colour combination, it reminds me of Greek pottery and buildings. Are you a fan of DIY? Do you have any 'new home' DIY ideas that I could try out?